The first half of the 18th century has been called a golden age for the Anishinaabeg and other peoples of the Great Lakes. Despite the curse of European disease, the Anishinaabeg had undergone an astonishing territorial expansion and their position in the fur trade was greatly improved in comparison to the situation a century earlier. The Anishinaabeg were at peace with the Haudenosaunee and, as a result, were able at times to traverse their territory in order to trade with the British at Albany, New York. The threat of carrying their trade to New York kept the French merchants honest and British traders were anxious for new commerce in the Great Lakes region. Militarily, the French were badly over-extended in North America. They maintained a system of forts stretching from the Gulf of St. Lawrence, down the Ohio and Mississippi valleys to New Orleans on the Gulf of Mexico. Despite her military preponderance in Europe, France was never able to bring sufficient resources to bear in North America. The population of New France was dwarfed in comparison with the Thirteen Colonies of British North America. Despite this, the French were able, with the help of their First Nations allies, to contain the British within their circle of forts. By the end of the Seven Years’ War, however, the French could not keep their First Nations allies properly supplied. The war had also caused misery in aboriginal communities. Increased contact with Europeans had, no doubt, caused the many outbreaks of disease that began in the final years of the war and battle losses had been high in the opening years. The Anishinaabeg and other French allies began to desert the cause by 1758. 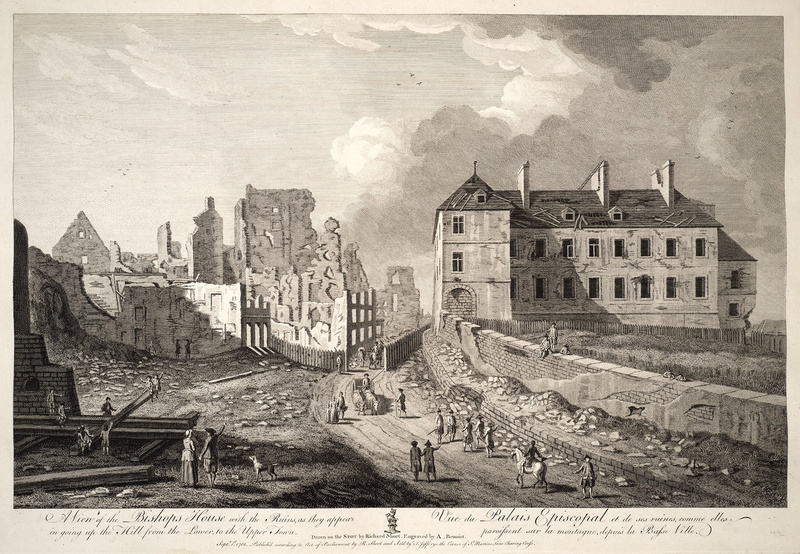 The fall of Quebec City in 1759 spelled the end of a system of alliance and trade that had existed for over a hundred years. The defeat of the French in North America meant that the British no longer had a European competitor in the fur trade. It also meant an increased threat of Anglo-American settlement in the Great Lakes region. Although the Anishinaabeg of southern Ontario may not have fully appreciated it at this time, it was this expansion of settlement that was the greatest danger to their way of life. In 1760, with the conclusion of peace between Britain and France, the British army began to take control of the forts of the Northwest. British traders moved in to take advantage of new sources of fur. The transition from French to British regimes was not a smooth one. Whereas the French saw First Nations as allies and trading partners and “Canadiens” had often intermarried with First Nations women, the British had a very different perspective. The Thirteen Colonies were driven by the need to settle more and more territory. The frontier in American history has been a dominant factor since the first tentative settlements straggled out of the swamps of coastal Virginia. Administrators, such as the Commander-in-Chief of British forces Sir Jeffrey Amherst, held First Nations people in contempt. Unlike the French, many Anglo-Americans simply had no use for the First Nations. Whereas trade with aboriginal peoples was always regulated strictly by the state in New France, British traders were very independent of state control. Furthermore, many of them lacked scruples and had little respect for First Nations people. Alcohol was often distributed liberally in order to take advantage of aboriginal traders. Unfair trading practices, official neglect and, south of the Great Lakes, a fear of Anglo-American settlers led to Pontiac’s War in 1763. A mere three years after the British takeover in the Great Lakes region, aboriginal people of many different nations rose up to protest their ill treatment at the hands of agents of the state and Anglo-American traders. Anishinaabeg from southern Ontario took part in the war but seem to have been less disaffected than their counterparts in other parts of the Great Lakes Basin. Wabbicommicot, a powerful chief in the Toronto area, apparently played a role as a moderate and peace negotiator. The many defeats suffered by the British during Pontiac’s Rebellion frightened them into accommodating many of the demands of the First Nations. The Royal Proclamation of 1763, for instance, attempted to limit the expansion of Anglo-American settlement. This irritated many settlers on the frontier. The “big knives”, as First Nations people in the Great Lakes region called the Americans, needed living space and were not content to limit their frontiers. After 1763, the British government was much more careful in its dealings with aboriginal peoples. 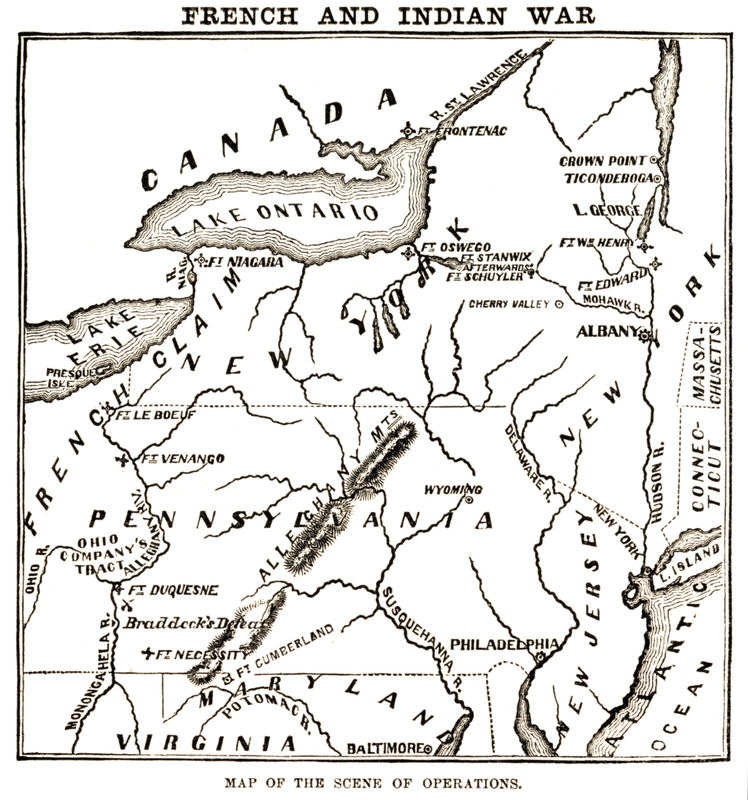 The Quebec Act of 1774 reaffirmed the protection afforded First Nations west of the Allegheny Mountains, though it implied British administrative sovereignty over the region. The Act further designated the territory as part of the province of Quebec. This has often been cited as one of the “Intolerable Acts” that led to the American Revolution. It is no coincidence that events leading up to war between the colonies and the mother country began that very same year. The First Nations in the Great Lakes region generally supported the Loyalist cause during the Revolution but few could have had any knowledge of the importance of the cause for which they fought. The defeat of the British forces in the American Revolution threatened the Great Lakes region and the patterns of existence that had been established since the arrival of the Europeans almost two centuries earlier. Though the aboriginal peoples south of the Great Lakes would face immediate threat from the military forces of the newly established Republic, the Anishinaabeg of Southern Ontario too would find that life had been altered by the signing of a piece of paper in Europe. The Treaty of Paris had surrendered all of the territories south of the Great Lakes to the Republic, including the strategic forts at Detroit, Niagara, and Michilimakinac, important centres in the lands occupied by Britain’s aboriginal allies. 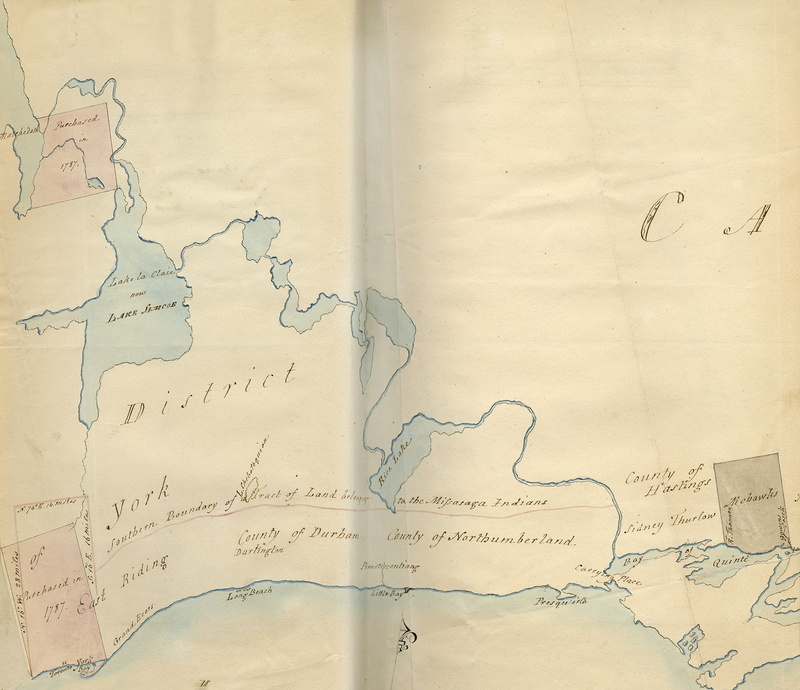 Southern Ontario was far from the American frontier and, had the American Revolution not taken place, would not have been settled for many years (though settlement certainly would have occurred). The British defeat, however, caused Loyalists to flee to areas of the continent still controlled by Britain. The Anishinaabeg allowed the United Empire Loyalists, as they were called, to settle in their territories. 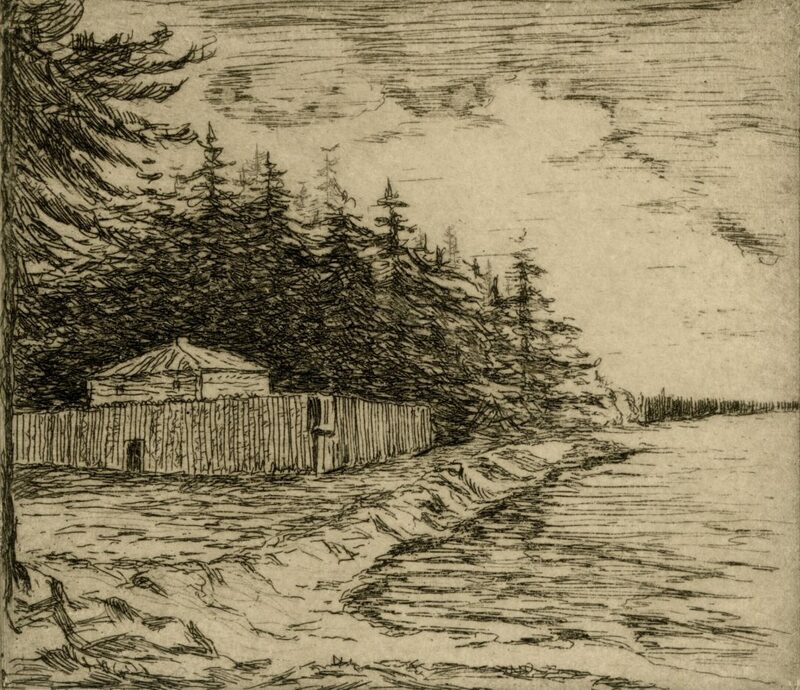 The Imperial authorities had suggested that the presence of the settlers would help the Anishinaabeg in acquiring material goods and knowledge of European ways. The Anishinaabeg were even convinced to permit the presence of their traditional enemies the Haudenosaunee. It was not long before many Anishinaabeg would come to regret their generosity. It is at this point that the First Nations groups centred on Lake Simcoe and Georgian Bay begin to come into historical focus. We know that they have been here all along due to a rough French survey of the indigenous population done in 1736 in which Matchedash Bay is cited as one of the areas of Anishinaabe settlement. Although they would, without a doubt, have been involved in many of the larger events of the late 18th century, there is little direct reference to these people. 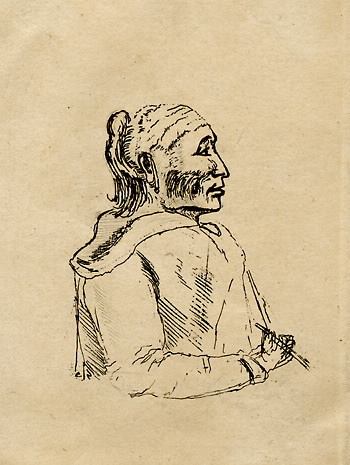 The unhappy state in which First Nations people found themselves brought Musquakie (William Yellowhead), the principal chief of the Lake Simcoe area, along with 140 followers to York in 1797. A serious epidemic had broken out around Lake Simcoe at the time of Lieutenant Governor Simcoe’s visit in 1793. Upon their arrival at De Grassi Point on September 29th, Simcoe’s party found Chief Canise dying of smallpox. By the time the expedition passed through on the return voyage, Canise had died of the affliction. This epidemic may have added to the misery of the Lake Simcoe bands for, on this occasion, Musquakie complained of the poverty of his people. The lack of “presents” was also lamented. They were given some assurances at York but were required to continue on to Niagara to speak to Peter Russell, the Administrator of the Government, in order to receive official acknowledgement of their plight. Peter Schmalz, author of The Ojibwe of Southern Ontario, states that there was a real danger of rebellion by disaffected First Nations at this time. Many chiefs were actively campaigning for a concerted effort on the part of the various groups in Upper Canada. The murder of Wabakinine, the principal chief of the Credit River band, by a British soldier in 1796 almost sparked such an uprising. Musquakie, John Assance and Akepatwewe (all Lake Simcoe chiefs) were principal among a group who met with Peter Russell to protest the outrage by an officer of the King’s army. Many chiefs favoured war in order to avenge the incident but, in the end, peace was maintained by the assurances of Russell and the fear that the Haudenosaunee would oppose any uprising. 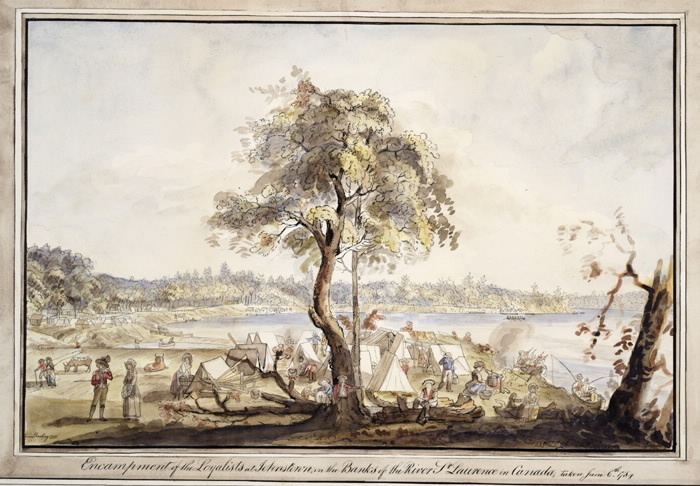 The cession of aboriginal land in the Lake Simcoe area began in 1785 with the Collins Purchase. A nebulous agreement, Collins is still being renegotiated today as part of the dispute surrounding the later (and larger) Williams Treaty of 1923. As a written record of the agreement disappeared shortly after the signing, Lieutenant-Governor Simcoe was forced to seek a statement of its contents from the translator who had been present at the time. Simcoe also sought reassurances from Chief Musquakie that the purchase was recognized by the Lake Simcoe bands. The reason for the purchase was to acquire a secure route to the Upper Great Lakes. As such, a mile on either side of the Severn River from Lake Couchiching to Georgian Bay was purchased along with a similar swath of land along the “Indian Portage” from the Narrows, at present-day Orillia, to Matchedash Bay. A similar concern with access to the upper lakes motivated the Penetanguishene Peninsula Purchase. One of Lieutenant Governor Simcoe’s motives in visiting the Lake Simcoe area in 1793 was to find a suitable location for a military base on Georgian Bay. The Penetanguishene site was chosen and the purchase of the area was secured in 1798. At the turn of the century, the Lake Simcoe bands had ceded very little land and European settlers had not yet appeared. Trouble with settlers had appeared farther south. The early settlement of Upper Canada took place, for the most part, along the lower Great Lakes and St. Lawrence River, and the waterways feeding into them. Overland transportation was extremely difficult owing to the massive primordial forests and an almost complete lack of roads. Thus, the lakes and rivers were the roads of the early settlers. In the areas where settlers could easily reach, they began a war with the forests. The psychology governing settlers to Upper Canada was in complete contrast to the ways of the First Nations inhabitants. Whereas aboriginal people obtained sustenance from the forest and revered the spirits they saw existing in nature, the Europeans viewed the forest as an impediment to their agricultural way of life. Timber was also an important building material for the pioneering homesteaders and potash could be made from burnt logs and sold. So powerful was the urge to clear the land that, by the closing decades of the nineteenth century, there were virtually no substantial stands of forest south of the Canadian Shield. By 1800, the Anishinaabeg living along the north shore of Lake Ontario saw the forests in which they hunted cleared and the lakes and rivers in which they fished over-exploited by settlers. The Anishinaabeg of Southern Ontario were from the boreal forests of the upper Great Lakes and had maintained most of the patterns of life that had served them so well in the northern woods. They are often referred to as hunter-gatherer societies. This is in opposition to the way of life pursued by the Wendat, Tionontatehronnon and other Iroquoian peoples who relied on farming for a large part of their sustenance. The Anishinaabeg did plant corn but were not often involved in clearing fields for the purpose. Crops of corn were often sown at the mouths of rivers in the spring and left to grow as nature dictated until the harvest time. Gathering of berries and seeds, producing maple sugar and harvesting wild rice were activities primarily carried out by women. Hunting was a year round activity for men though more so in the fall and winter when bands dispersed into smaller units to seek big game. Families often had traditional hunting grounds, otherwise, the territories would be agreed upon by the band before dispersal. Fishing was far more important than hunting in terms of the proportion of the diet of local First Nations. Family groups would come back together in the spring and congregate on a river or lake in order to take advantage of the spawning of fish. The Narrows between Lakes Simcoe and Couchiching were famous as a fishing ground. Weirs had been constructed by the Wendat and maintained by the Anishinaabeg to trap fish passing between the lakes. The dependence of the Anishinaabeg on the land in its natural state was in conflict with the distaste many settlers had of the dark forests. European practices of land use and ownership destroyed the forests and precluded a nomadic existence. Some of the Lake Simcoe bands were lucky in having their hunting territories in Muskoka. Muskoka is in the Laurentian or Canadian Shield and proved inhospitable to agriculture. The territories they occupied for the other half of the year, however, began to come under pressure in the first decades of the 18th century. 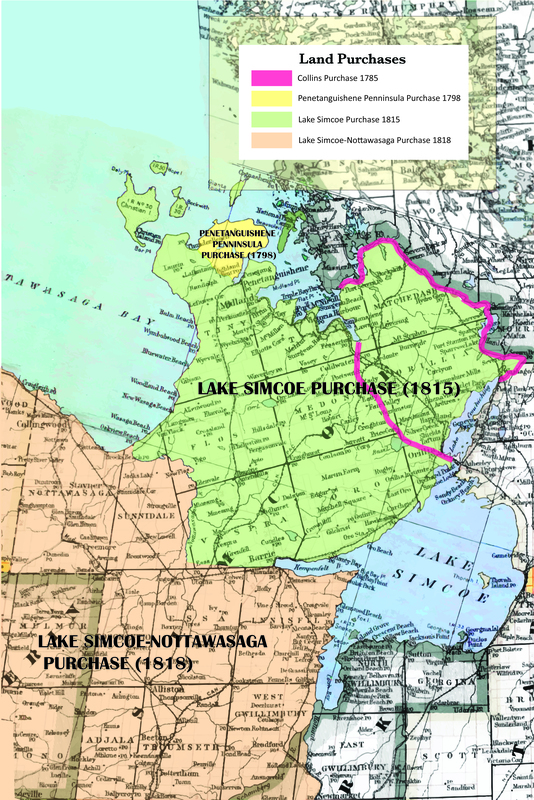 The Lake Simcoe Purchase of 1815 was comprised of a substantial territory. The old Nottawasaga Bay route from Kempenfelt Bay to Lake Huron (Georgian Bay) formed the southern boundary of the tract while the Severn River formed the northern. This agreement was reached in 1811 but was not ratified until after the War of 1812. The main purpose of the purchase was to secure the Nottawasaga Bay route to the upper Great Lakes and acquire land for the construction of a military road from Kempenfelt Bay to the proposed base at Penetanguishene. 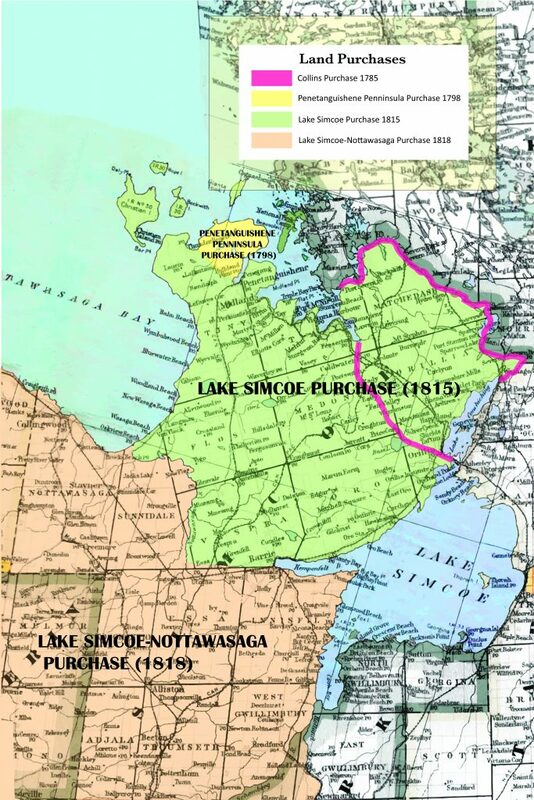 Land purchases in the Lake Simcoe area had been based on a desire for access to the Upper Great Lakes for economic and strategic reasons. In 1818, however, a half million hectare tract in southern Simcoe and adjoining counties was purchased for the purpose of settlement. William Claus, the Superintendent of Indian Affairs at the time, described the land as “idle” and the Lake Simcoe bands as “destitute”. It is a matter for speculation whether the Anishinaabeg were fully aware that they were consigning their lands to the settlers for good. Many may have thought that they would be able to continue to use their lands as ever; they had merely agreed to share with the settlers. The incompatibility of the two cultures, however, dictated that the sharing of land was impossible. Desperation may have played a large part in the signing of the 1815 and 1818 treaties. It does seem certain that, in a few decades following the arrival of European settlement at the end of the 18th century, the fortunes of the Anishinaabeg of Upper Canada had declined dramatically. European diseases played havoc with aboriginal populations largely isolated previous to the arrival of U.E. Loyalists. Alcohol abuse became problematic leading to child neglect and premature deaths, such as that of Wabakinine. Poverty, alcoholism and the apparent disintegration of their way of life led to a despondency that forced First Nations to accept material compensation for their land. In 1812, the Anishinaabeg of Upper Canada went to war, along with their British allies and other First Nations of the Great Lakes region. The foe was the United States of America, as had been the case thirty years before. In the case of the nations south of the Great Lakes, the preservation of their homelands was at issue. 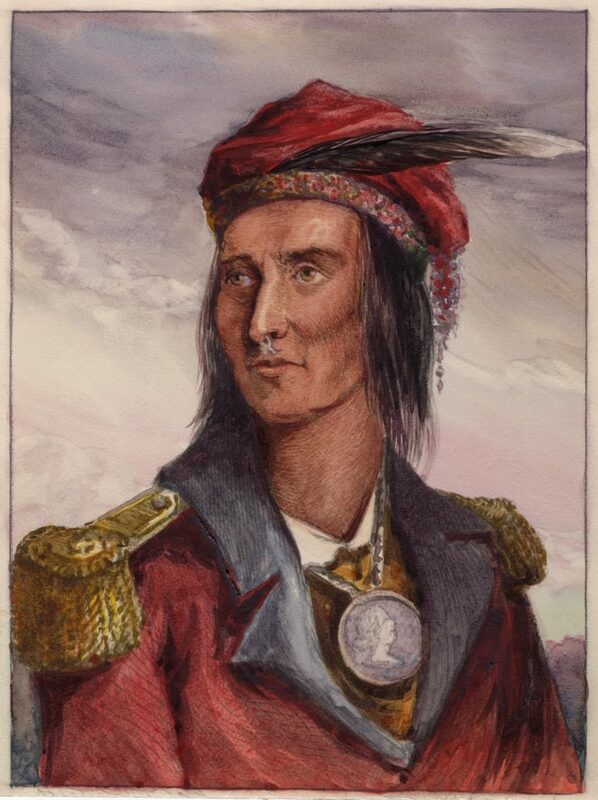 The great Shawnee chief, Tecumseh, had established a confederation of First Nations in opposition to increasing American pressure in the old Northwest. They had been skirmishing with the U.S. army since the end of the American Revolution. Initially, aboriginal forces inflicted stunning defeats on the newly created U.S. army. In 1789 a confederated First Nations force annihilated a much larger army under the American General St. Clair at the Battle on the Wabash. However, weight of numbers and superior resources were brought to bear and, in the battles of Fallen Timbers of 1794 and Tippecanoe in 1811, Tecumseh’s forces were defeated. Military defeat led to land cessions and further military pressure. The declaration of war by President Madison against Britain in 1812 meant that Tecumseh and his allies would finally get direct support from Britain in their struggle. The year 1812 saw some startling successes by the enemies of the Republic. These early successes were largely due to the military exploits of First Nations forces. 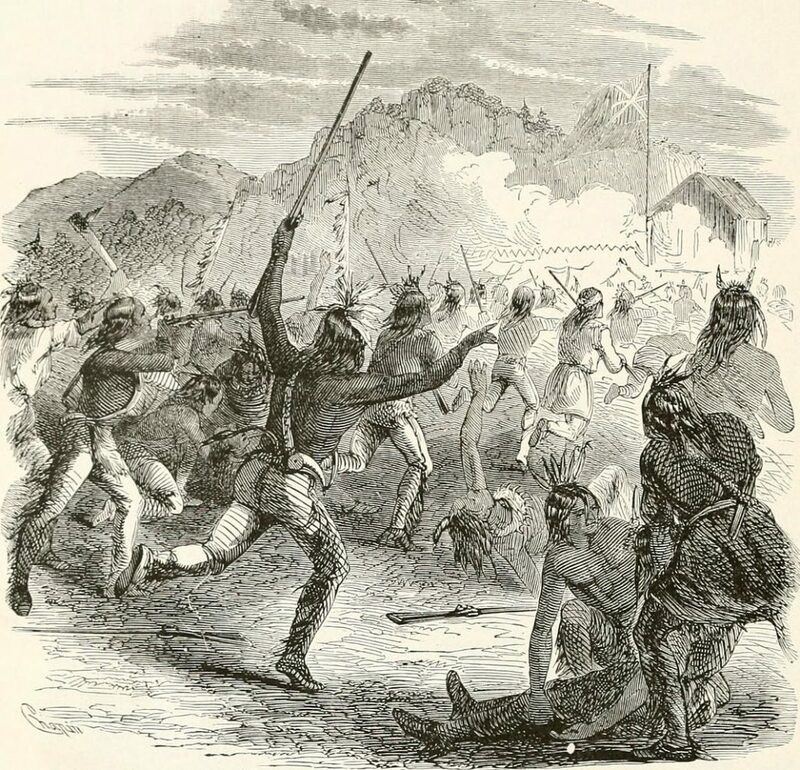 The capture of Michilimackinac was engineered when a small British force accompanied by a much larger aboriginal contingent intimidated a small American garrison to surrender without a shot. Shortly thereafter, the powerful Fort Detroit was surrendered to an inferior force of British regulars and First Nations warriors. In both cases, fear on the part of the Americans of atrocities was decisive in motivating the surrenders. 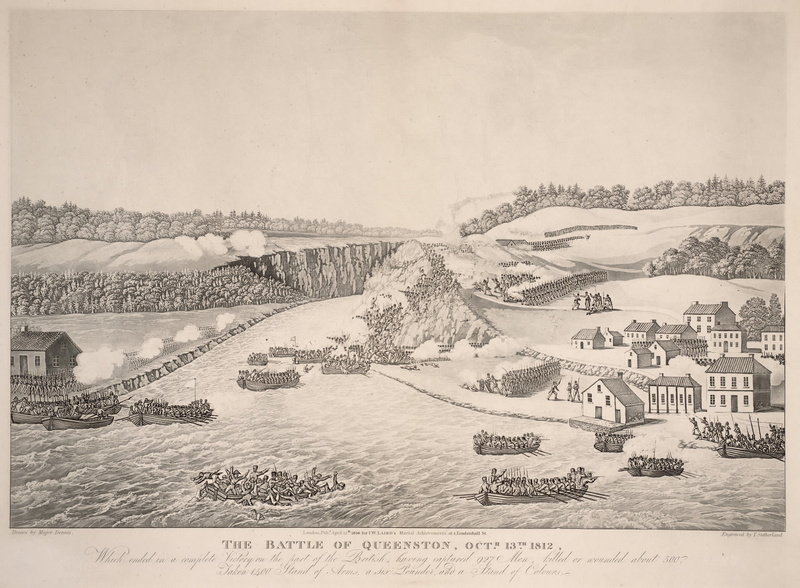 At Queenston Heights, an American invasion of Upper Canada was thwarted largely through the action of Teyoninhokarawen (John Norton) and his force of Haudenosaunee and Delaware warriors. First Nations fortunes in the War of 1812 would decline sharply after the first year, culminating in the death of Tecumseh in the Battle of Moraviantown, near London, in 1813. The Treaty of Ghent in 1814 acknowledged a stalemate between the American and British participants but signed over the old Northwest to the Americans. Once again, the First Nations allies of the British had been abandoned at the peace table. The war also marked a milestone for the First Nations of Upper Canada. Although they would be called on again in 1837-38 to defend the province, their value as military allies would rapidly diminish as their populations declined in relation to that of the settlers. Until the War of 1812, the British government valued the First Nations as allies in future wars with the United States. As long as that was the case, aboriginal peoples were treated with a modicum of respect. After 1814, they were seen more as subjects of the crown or wards of the state than as allies.